What is this? More spinning? After finishing up the last spinning project, I immediately went to the fiber stash and pulled out some more roving from the Sweet Georgia Fibre Club. This one is from the March shipment. 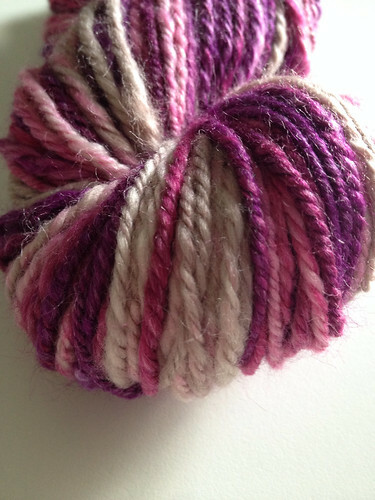 The color is Winter Thaw and it's Superwash BFL, one of my favorites to spin. I love this one. The greens and the blues and the browns blend together beautifully. Like the last yarn I spun up, I made a 3-ply by chain plying the singles. I always want a thinner yarn, but when I get to the end I really want to chain ply. I guess I need to work on getting thinner singles! My poor spinning wheel. It sits in the corner collecting dust for months at a time. And, I thought when I joined the Sweet Georgia Fibre Club that would make me want to get the ol' wheel out more. Nope. I have 6 months worth of fiber from the club and just now finished spinning one up. But now I'm on a roll and have started on a second one! (we'll see how long that lasts). This was actually the February shipment. The colorway is Love Letters. It's so pretty. 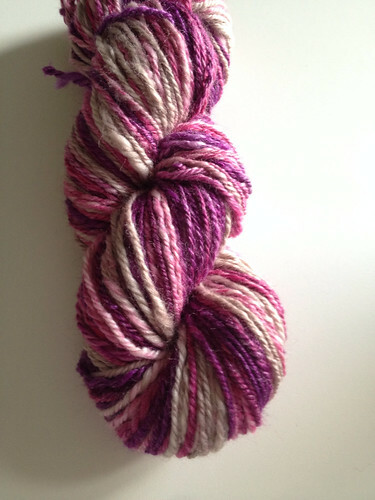 And, it's a merino/bamboo/silk blend. So yummy. I didn't sign up for the third quarter for the club. But I've told myself if I finish spinning at least half of what I already received, maybe I'll treat myself to the 4th quarter shipments. We'll see what happens. 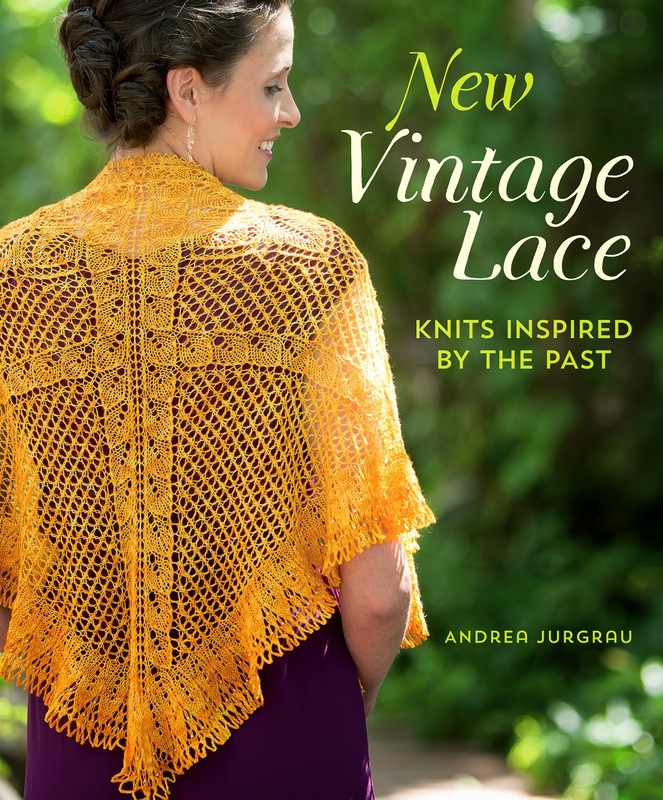 Recently I was able to get a review copy on the new book New Vintage Lace by Andrea Jurgrau. I immediately fell in love. The projects in the book are so beautiful and I love lace and lace design so much I just had to find out more about her and her new book. How did you get started in designing knitting patterns? I started about a decade ago, when I friend of mine started a yarn company. She needed some “yarn support” and I was already designing my own lace, but not really documenting what I was knitting. I starting writing up my designs and just kept going! I got very interested in vintage doilies, began using them to inspire wearable pieces and realized I had a books worth of material. Do you have a favorite stitch dictionary or where are your favorite places to find stitch patterns? I tend to be a concept designer. Once I have that concept I just design until I feel done with it! In the case of New Vintage Lace, I had already designed more than half of the projects in the book before I even thought of it as a book proposal. So filling up the book with designs was easy for me. Actually writing up the technique sections, the swatching chapter and the final chapter took a little more work, to really get the information clearly stated. The team at Interweave, and my lovely editor Ann Budd, made sure I didn’t drift off. There are a lot of patterns in this book. Did you get help with the knitting? Knitting a full sample is actually a part of my process, so I knit each piece In the book at least once. And then each piece was test knit by at least 2 other knitters (and in some cases 4.) All the samples in the book except one were knit by me. 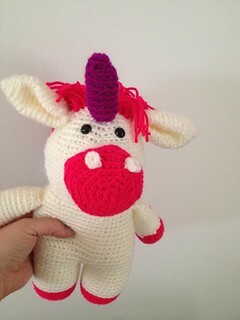 I have some wonderful test knitters! What are your plans for the future? Anything upcoming you can share with us? Any more books? I am working on another book proposal right now. That means that I already the concept fully fleshed out and have more than half of the pieces knit (and a few more in the design process.) I might have more to share about that soon! I find it so interesting to hear about other people's design process. Thanks Andrea! 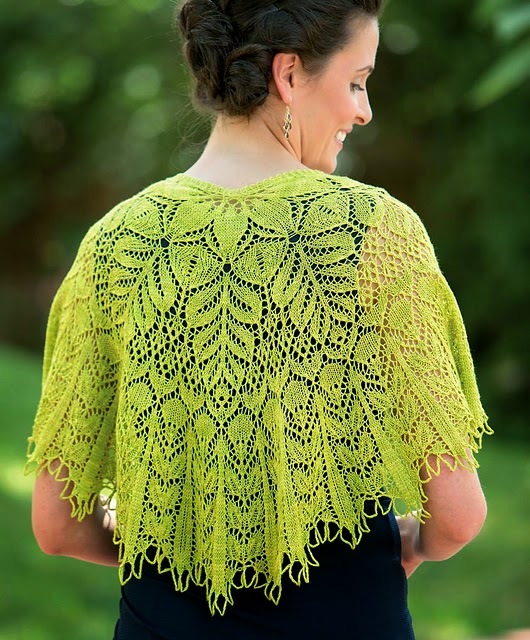 As for me, even though I rarely knit other people's lace patterns these days, there are a couple shawls in this book that may end up on the needles. That is some seriously beautiful lace! You can see all the projects on the Ravelry page for the book (warning: you will want to make everything in the book if you click that link). 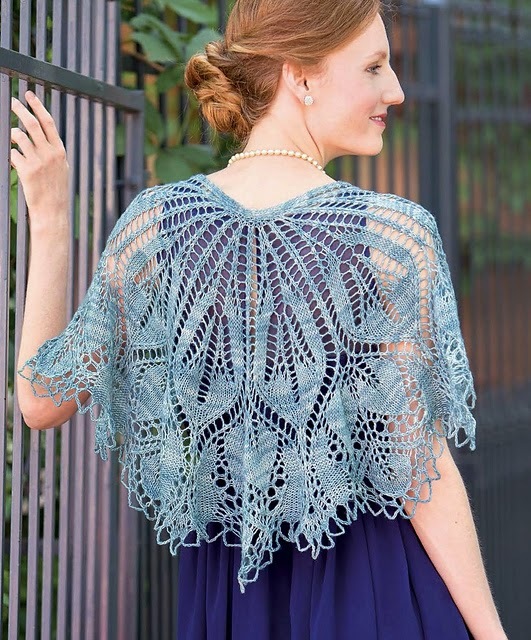 You can find New Vintage Lace in yarn stores and bookstores now, or can purchase one here. My Hat KAL/CAL for Hope is still going strong. 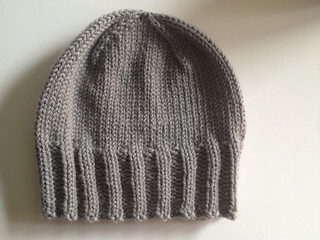 It's been so great seeing pictures and posts from people in the Ravelry group who are making hats! I had a couple of hats already knit, and I managed to finish up 5 hats while on the Nashville trip. 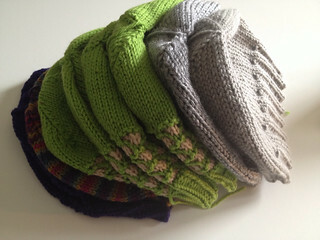 There was lots of car knitting time, and a couple of those hats were already on the needles. There's still time to join in the KAL/CAL fun. You can find all the details in this Ravelry thread! Happy hat knitting and crocheting! So, as I mentioned in the last post, there was yarn on my trip to Nashville. How could there not be!? When I go to yarn shop on vacation, I try to get something that I can't get at home or is local to the place I'm visiting. I did good this time. 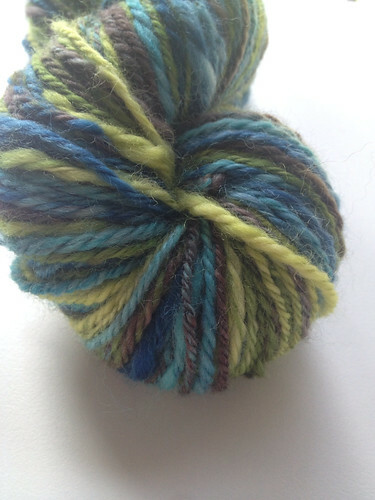 I got a skein of Spartickes Dyes sock yarn. 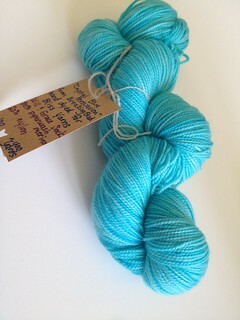 The colorway is 'Crystal Blue Persuasion.' I love Breaking Bad. I could not resist it. 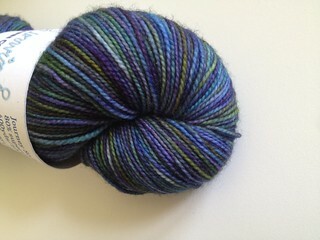 Again sock yarn. 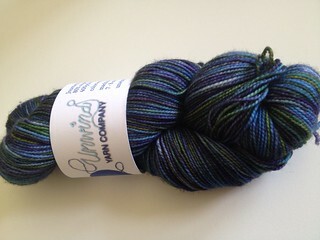 This one from Unwind Yarn Company, which is located in TN as well. I have a feeling this one is going to be wound up and turning into a shawl in no time. So, good yarn purchases for me. Yay! Labels: nashville, vacation, vacation yarn, what yarn diet? Last week, Alex found himself with a week off of work (he works on contract and contractors were furloughed). We decided to pack up and head to Nashville. It was such a great trip! I highly recommend it for anyone looking for a fun long weekend. We saw many things. 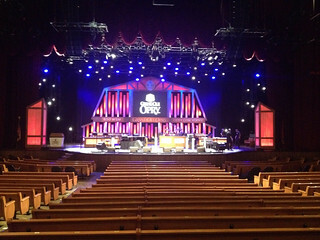 We walked all around downtown and went and saw the Ryman Auditorium (old home of the Grand Ole Opry). 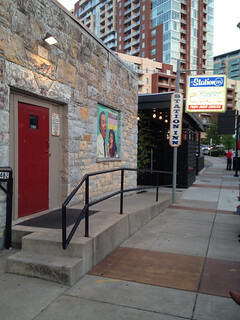 We also went to Station Inn, where we saw John Carter Cash (son of Johnny Cash & June Carter) perform. All the acts we saw there were awesome. One of my favorite parts of the trip! 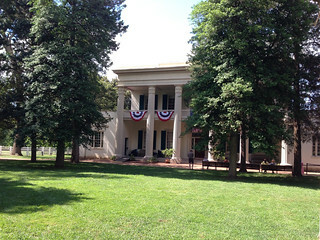 The next day we decided to get into the car and head to The Hermitage, where Andrew Jackson lived. Lots of history to learn about there. 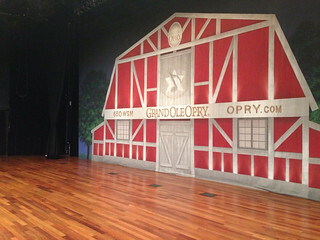 We also went to the Country Music Hall of Fame and went on the RCA Studio B tour. 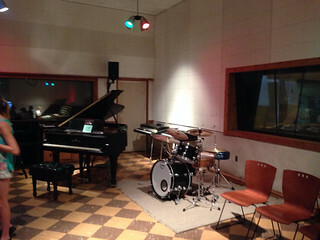 Lots of hit songs were recorded there. It was super cool. 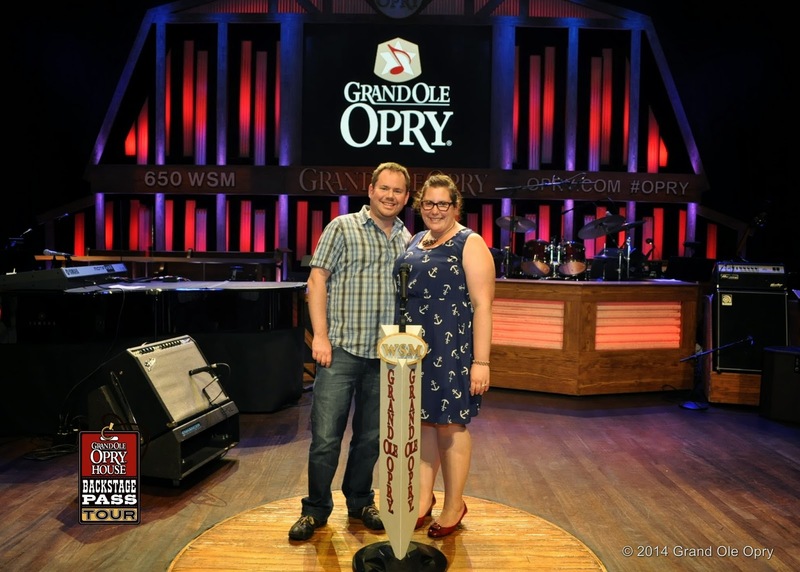 And then we went to the Grand Ole Opry. It was actually how we decided to go to Nashville in the first place. 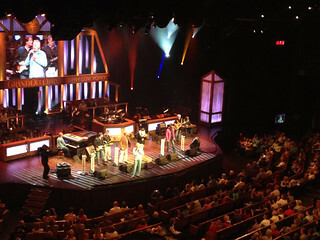 The Oak Ridge Boys were going to be on the Opry on the Fourth of July. The first concert I ever went to was The Oak Ridge Boys (my dad had gotten free tickets from work), so they have always had a weird, special place in my heart. :) Before the show we got the backstage tour. Again, awesome. Nashville was one of the most fun trips Alex and I have taken yet! So much to see and do! I don't think it's a secret around here that my obsession with Stacey's patterns grows every week. I've made so many things. Her patterns are so easy to follow and they are nice break from all the knit designing I've been doing these days. 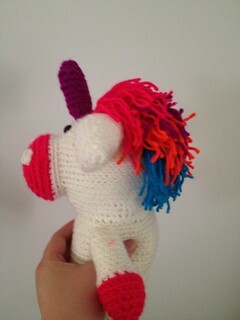 So, when I heard my niece had become unicorn obsessed, it was auntie to the rescue. And of course, Stacey had the perfect pattern. That hair! That was my favorite part of the whole pattern! I used the Premier Yarns Everyday Worsted. I couldn't resist all the bright colors! I have enough to make a second one. 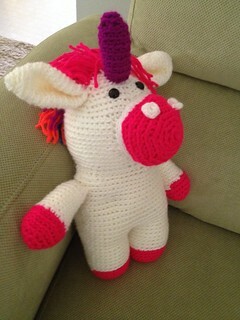 My niece's friend is also unicorn obsessed, so I think she may be receiving one soon too!